The Freescale Freedom development platform is a set of software and hardware tools for evaluation and development. It is ideal for rapid prototyping of MCU-based applications. 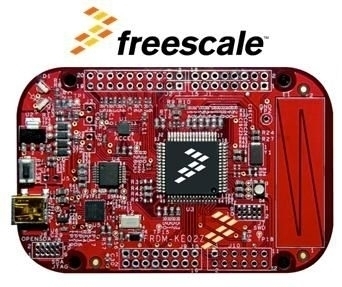 The Freescale Freedom KE02Z hardware, FRDM-KE02Z, is a simple, yet sophisticated design featuring a Kinetis E series MCU, the industry’s first 5-volt MCU built on the ARM® Cortex™-M0+ core.